new energies coming to Earth? more fully in your life? 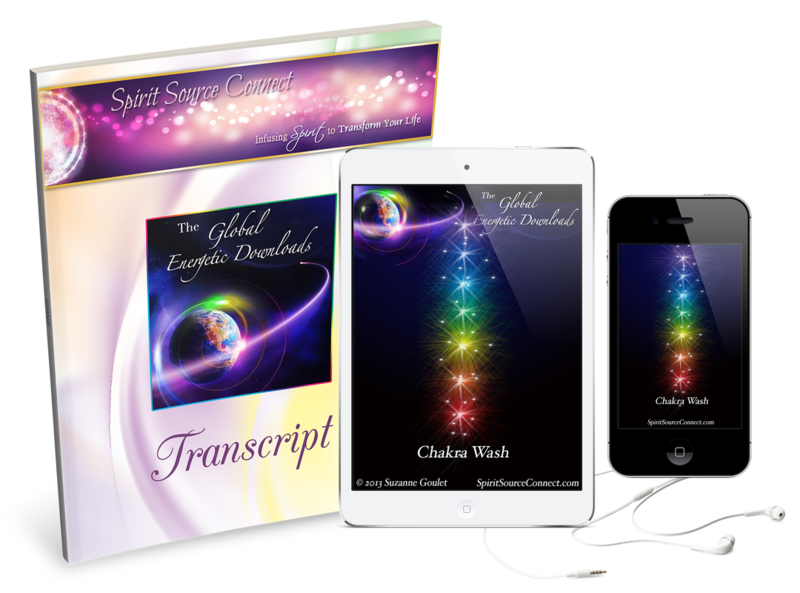 Our Global Energetic Download "Chakra Wash," is a wonderful, gifted journey through each of the chakras. Beginning with the Third Eye, we are delivered large doses of indigo, catapulting us into a high visual, intuitive, and enlightening journey. "The function of this colored light is to actually assist you in being able to see and hear much more clearly that which you do not yet know." "By attaining a greater inner knowing, you can circumvent unnecessary difficulties, and at the same time, you can move in a more straightforward manner, toward your highest outcomes in every area of your life." ​This is only the beginning of "Chakra Wash." Throughout the rest of the journey, each one of our chakras is explained, as well as the areas in our lives that are affected by the energy we contain within. 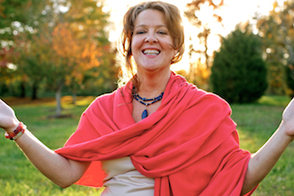 By receiving large doses of energy for each one of our chakras, we become highly balanced, finely tuned, and ready and aware for our new beginnings in this world. "Each one of you has a great deal to give, and also a great many potentials within your very hearts, through which you will continue to expand outward." "Allow all the Colors to continue to flow through to you, and fully intend to receive as much as you possibly can." By listening to this audio and receiving all the colors—a Divine differentiation of White Light—you become fully nourished by Spirit, able to move onward and forward in an enlightened and enlivened manner. "I just wanted to say Thank you so much! I just felt like…the flood gates of love were just pouring in, and how it was just…amazing. I can’t even…be specific because it was so…powerful. And it was just, like, perfect timing, and what I needed so…I'm just, I'm just in awe right now. But I wanted to definitely share that with you, and just say thank you. Thank you. I am so blessed and so grateful. Thank you!" "It was so beautiful. Thank you so much. I really have missed doing these, and it was wonderful. There were so many parts that I can’t even recall right now, but [I] will look forward to listening to it again. Thank you so, so very much for doing this." The effect of the download happening live is so powerful, so transformative on a cellular level, that it really does make it difficult to communicate on a conscious level immediately afterward. In fact, the transformative energetic effect of the download can continue to last for days and months afterward. 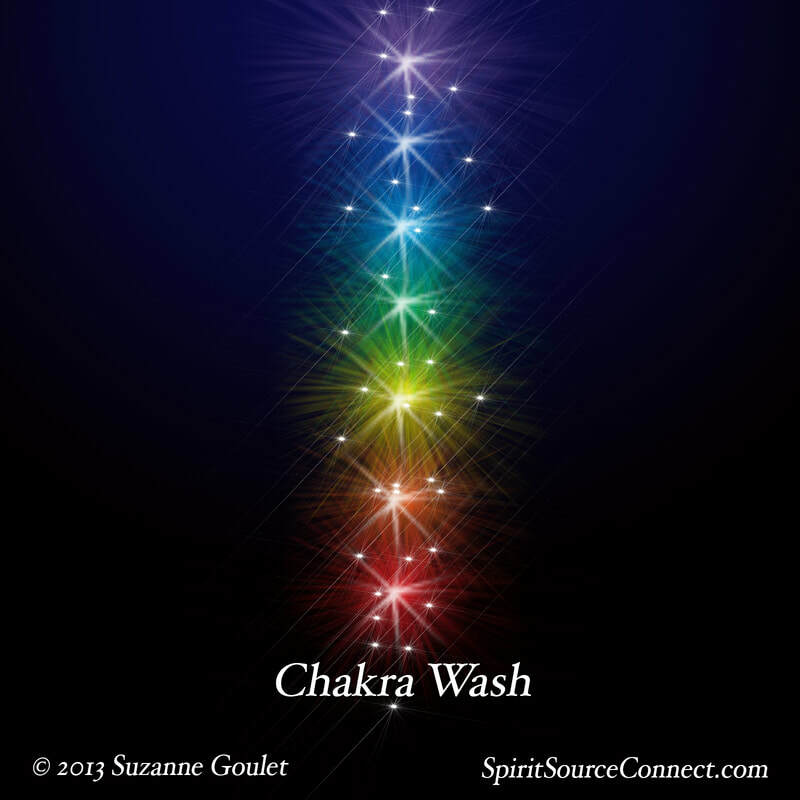 The "Chakra Wash" energetic download was specifically given to us as a consistent place to go whenever we need to create more balance in our lives. Or perhaps we know that we feel stuck, that energy is unmoving, and we want to give ourselves a boost to be able to move forward more quickly. "Chakra Wash" is also a great way to learn firsthand from Spirit what the meaning and the power of each one of our chakras is. By working with this material, you'll be able to see more clearly within yourself, through the reflection of your life, where you might need to receive more enlightening colors from Spirit to help you overcome areas where energies need to move more. With your purchase of "Chakra Wash," you receive .mp3 audio files immediately, a CD mailed to your address, and a full, beautiful transcript of these enlightening words as well. Many have read and reread these words over and over, to be inspired and to lift their spirits again and again. Begin to take the balance of your life and your affairs into your own hands by receiving more plentifully from Spirit. PS. Feel free to email me HERE with your results and your comments!